Bombastic rhetoric against Iran is not only short-sighted but also plays into the hands of Russia and China. We need to be smarter, more sophisticated, more strategic. Smarter, more Sophisticated, more Strategic. We’ll take a walk through the Iranian Nuclear Deal and then fast-forward to where we stand today. It’s worth reminding ourselves of the situation Iran found itself facing prior to the Joint Comprehensive Plan of Action – also known as the Iranian Nuclear Deal. On February 9, 2010, Iran began the process of producing 20 percent enriched uranium. In response, the UN Security Council adopted Resolution 1929 on June 9, 2010. The Resolution expanded sanctions against Iran – tightening proliferation-related sanctions, banning Iran from carrying out nuclear-capable ballistic missile tests, and imposing an arms embargo on the transfer of major weapons systems to Iran. Iran shall not undertake any activity related to ballistic missiles capable of delivering nuclear weapons, including launches using ballistic missile technology. States shall take all necessary measures to prevent the transfer of technology or technical assistance to Iran related to such activities. On June 24, 2010, Congress adopted the Comprehensive Iran Sanctions, Accountability, and Divestment Act. The Act tightened U.S. sanctions against firms investing in Iran’s energy sector and imposed new sanctions on companies selling refined petroleum to Iran. The Council Decision provides a comprehensive and robust package of measures in the areas of trade, financial services, energy, transport as well as additional designations for visa ban and asset freeze, in particular for Iranian banks, the Islamic Revolutionary Guard Corps (IRGC) and the Islamic Republic of Iran Shipping Lines (IRISL). On December 31, 2011, Congress passed legislation (see: Section 1245) allowing the United States to sanction foreign banks if they continued to process transactions with the Central Bank of Iran. On January 23, 2012, the EU imposed a phased ban on oil purchases from Iran – with a total halt on EU importations of Iranian oil on July 1, 2012. Iran Faces Tougher Sanctions by European Union and U.S.
On February 15, 2012, Iran announced a number of nuclear advances, including new centrifuges allowing for faster Uranium enrichment. You can see the back and forth being played by Iran during this period. These are familiar tactics and should have surprised no one. Those sanctions were rapidly taking their toll. The Iranian economy was coming under serious pressure. Iran’s GDP contracted by 6.6% in 2012. The official unemployment rate jumped to 14% in the Spring of 2012. Ultimately, Iran’s GDP shrank by 9% between March 2012 and March 2014. Iran’s economy was later estimated to be 15-20 percent smaller than it would have been without the 2011/2012 round of sanctions. The U.S. Treasury stated that sanctions cost Iran $160 billion between 2012-2015. More than $120 billion in Iranian reserves held in banks abroad were inaccessible. In the first ten months of 2012, the Iranian currency, the rial, lost more than 80% of its exchange value. In a single day, on October 1, 2012, it dropped by 15%. The collapse of the rial caused inflation to spike from an already uncomfortable 20.6% in 2011 to 27.4% in 2012. Inflation in Iran would peak at 39.3% in 2013. Iran was under enormous economic pressure. On August 30, 2012, the IAEA reported that Iran increased the number of centrifuges installed at the Fordow enrichment plant and was continuing to produce uranium enriched to 20 percent in excess of its needs for the Tehran Research Reactor. If Iran decides to produce weapons-grade uranium from 20 percent enriched uranium, it has already technically undertaken 90 percent of the enrichment effort required. Using 20 percent enriched uranium as a feed, 250 kg UF6 can be turned to weapons-grade material in a month’s time. Iran began 20 percent enriched uranium production in early 2010. By late 2012 Iran had produced enough 20 percent enriched uranium to produce weapons grade uranium in roughly one month. In other words, Iran already had weapons grade uranium capability in 2012. Iran’s problem was lack of a delivery system – a medium or long-range ballistic missile. Iran must rely on others for certain key missile components and materials in its MRBM [medium-range ballistic missile] program. Export controls and sanctions have made it increasingly difficult, but certainly not impossible, for Iran to acquire the best of such items. Iran does not appear to be receiving the degree of foreign support many believe would be necessary. Iran has found it increasingly difficult to acquire certain critical components and materials because of sanctions. Iran has not demonstrated the kind of flight test program many view as necessary to produce an ICBM. Sanctions had severely impaired Iran’s ballistic missile program – to the point that medium-range ballistic missile production was severely limited. ICBM’s were simply not attainable. Iran had achieved 20 percent-enriched uranium production. Stockpiles were now sufficient to produce weapons-grade uranium. 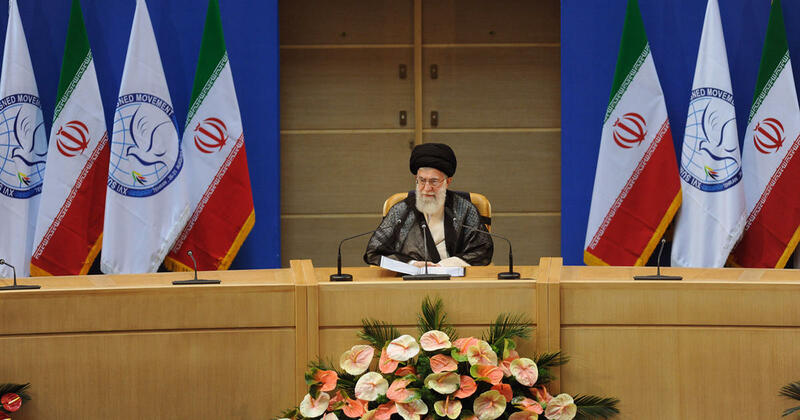 Iran was facing intense International pressure regarding its nuclear ambitions. The Iranian economy was on the verge of collapse. Iran’s ballistic missile technology – the nuclear delivery system – was lagging, underfunded and component constrained due to economic sanctions. Sanctions were costing Iran tens of billions each year. Iran had no access to significant overseas cash reserves. On June 14, 2013, Hassan Rouhani was elected president of Iran. Rouhani was a former nuclear negotiator. Three days after his inauguration, Rouhani called for the resumption of negotiations with China, France, Germany, Russia the United Kingdom, and the United States. On September 27, 2013, Obama personally called Rouhani – marking the highest level contact between the U.S. and Iran since 1979. Talks began in October 2013 in Geneva. On November 23, 2013, Obama announced the first round of sanction relief for Iran. Congress had been pushing for further tightening of sanctions in front of negotiations. $3 billion in cash, plus another $16-17 billion [in gold, petrochemical and automotive sanction relief], totaling $20 billion in sanctions relief giving a staggering 25 percent boost to Iran’s total foreign exchange reserves. The announcement by Obama translated to a flood of Trade Delegations visiting Iran – including ten in the first two weeks of January 2014. Iran’s economy began to recover almost immediately. Iran’s GDP grew 3% in 2014. Inflation fell from 39% to 17%. As the Iranian economy began growing again so did Iran’s negotiating power. On July 14, 2015, the United States, Russia, China, United Kingdom, France and Germany reached an agreement with Iran. The Joint Comprehensive Plan of Action lifted all economic sanctions and allowed Iran to access $120 billion in reserves held in banks abroad. The sunset clauses permit critical nuclear, arms, and ballistic missile restrictions to disappear over a five- to 15-year period. Tehran must simply abide by the agreement to soon emerge as a threshold nuclear power with an industrial-size enrichment program. For eight years the ballistic missile restrictions will remain in place. This assertion was repeatedly put forth by the Obama Administration. But several notable changes were made to the language on ballistic missiles. Iran is called upon not to undertake any activity related to ballistic missiles designed to be capable of delivering nuclear weapons. Called Upon. Designed to be Capable. Iran shall not undertake any activity related to ballistic missiles capable of delivering nuclear weapons. These slight variances would prove crucial. Since the JCPOA went into effect, Iran has worked diligently to bolster its ballistic missile capabilities. Since the conclusion of the JCPOA, Iran has launched as many as 23 ballistic missiles. Iran has also been masking ICBM development through it’s Space Launch Program. On August 22, 2017, Iran’s atomic chief Ali Akbar Salehi shocked the International Community by stating that Iran needs only five days to ramp its uranium enrichment back up to 20 percent. 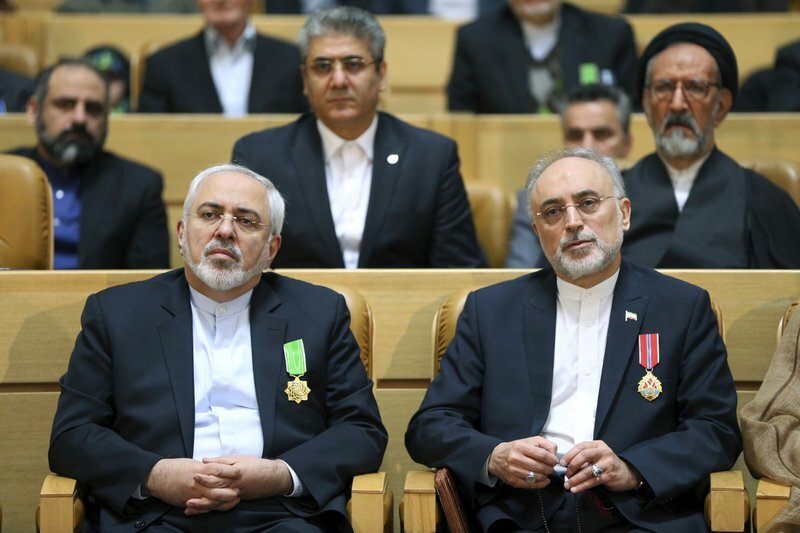 Salehi: If we make the determination, we are able to resume 20 percent enrichment in at most five days. Iran, by their own admission, managed to retain full capability to resume 20 percent uranium enrichment almost instantaneously. The JCPOA preserved Iran’s nuclear capability. It was not materially reversed, merely suspended. International pressure abated. The Iranian economy immediately rebounded with the lifting of sanctions. The JCPOA materially loosened restrictions on Iran’s ballistic missile advancement. Iran’s ballistic missile program is far more advanced today. Foreign investment flooded back in. Iran was allowed access to $120 billion in cash. Mr. Kerry described an Iranian capability that had been neutralized; the Iranians described a nuclear capability that had been preserved. Iran had taken its Nuclear Program to the limit of what would be allowed by International bodies – and basic finance. Iran’s missile technology lagged far behind. Iran negotiated solutions to its problems with a compliant (read: complicit) Obama Administration and emerged with its Nuclear Program slowed – but essentially intact. In return, Iran was given access to a huge pool of overseas cash and a flood of foreign investment. Iran could rebuild its economy and focus on what it lacked. A reliable nuclear weapons delivery system. On May 8, 2018, President Trump withdrew from the Iran Nuclear Deal. 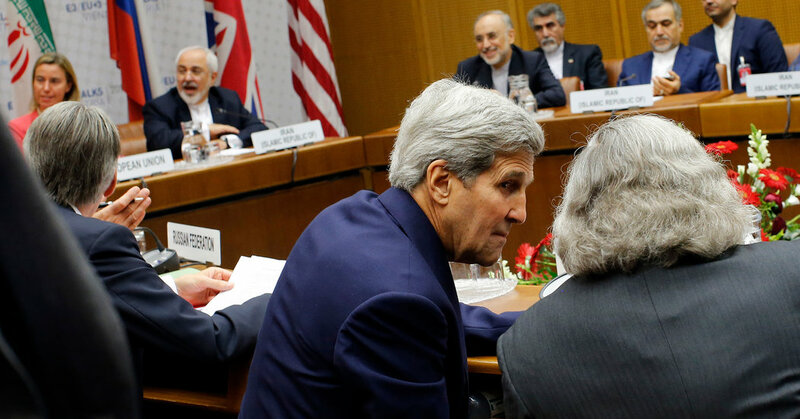 As a result, snap-back sanctions on Iran are set to take effect. The first round of sanctions – targeting the Iranian automotive sector as well as trade in gold and other metals – become effective on August 4, 2018 – just nine days from now. On November 4, 2018 a second round of sanctions will become effective. These will target Iran’s energy sector and the Iranian central bank. Reminder: Markets are forward looking. All markets. The officially stated rate for the rial (43,950) is meaningless. Nothing trades at these levels. Iranian authorities have been supplying essentially no hard currency through official channels. Free market trade simply went underground. #BREAKING#Iran‘s economy is devastated under the mullahs’ regime. Various cases of enormous embezzlement are unveiled now & then. What remains under the rug are resignations & officials leaving the country. I’m not sure how much faith I put in the ABC report. But Iran is reeling under U.S. pressure. I’ll leave it to you as to whose policy is more effective. Obama’s Iran Nuclear Deal saved the rial & the Iranian economy. Thus saving the Iranian Mullahs. This is what’s happening in advance of the Aug 4 sanctions being re-imposed by President Trump.